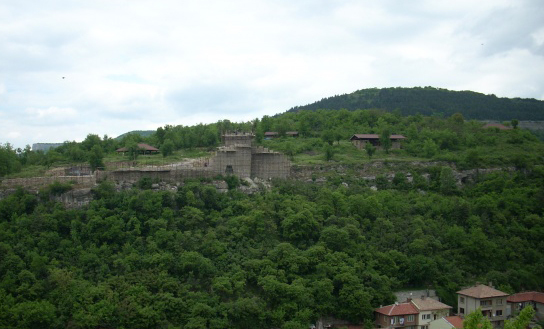 The fortress on Trapezitsa Hill had been second in importance after the one on Tsarevets Hill. During the 12 – 14 centuries it had been called ‘the glorious town of Trapezitsa1. Fortified by strong fortress walls, following the rock wreath over Yantra, it had also been densely built with dwellings. Seventeen churches had also been erected. The Monastery of St Ivan Riiski (John of Rila) was located in this fortress, to which the relics of the Rila wonderrnaker had been transferred in 1194-1195 and were kept there for almost three centuries. It is precisely from the capital of the Assen Dynasty that the cult for the Bulgarian national saint went beyond the borders of the kingdom, acquiring the status of a general Eastern Or- thodox saint. In Trapezitsa again under the reign of Tsar Kaloyan’ the relics of St Gavrail Lesnovski had been brought into the Church of the Holy Apostles.